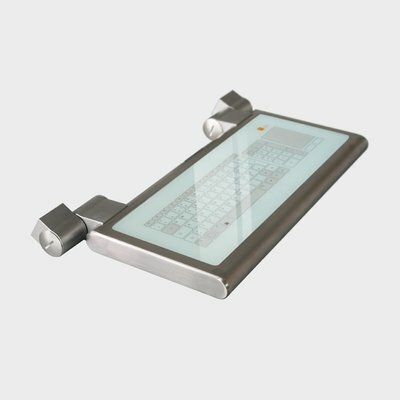 The keyboards are integrated in a high-quality, gap-free stainless steel casing. 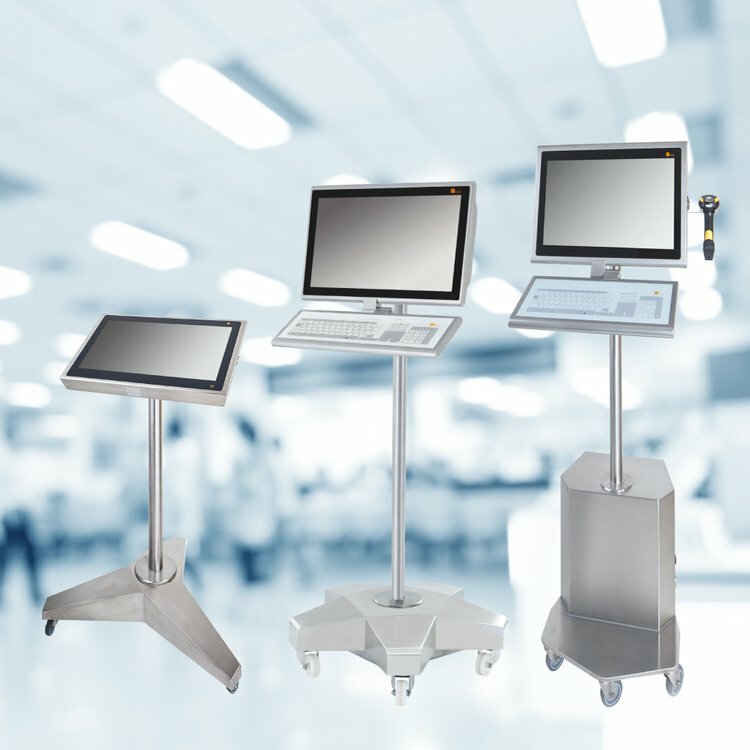 They are available as desktop, built-in and rack versions – with glass or membrane surfaces. 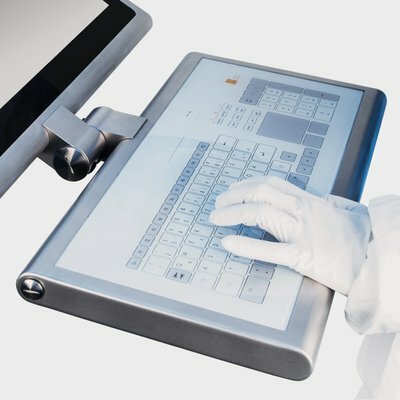 All keyboard versions are easy to clean, optimized for use under clean room conditions and meet IP65 standards. 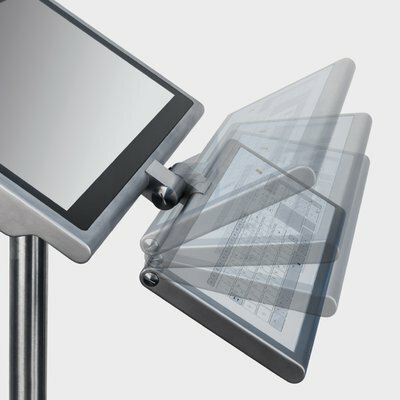 The keyboards can be mounted on a WAVE or PILOT with an adjustable torque hinge. The double torque hinge even permits wall or switch cabinet installation. The CONTROL fitted panel is ideally suited for GMP-compliant, flush-mounted installation in cleanroom walls. In TROLLEY COMPACT you will find a complete mobile GMP system – including space for a label printer. By the torque hinge the inclination angle can be adjusted ergonomically. 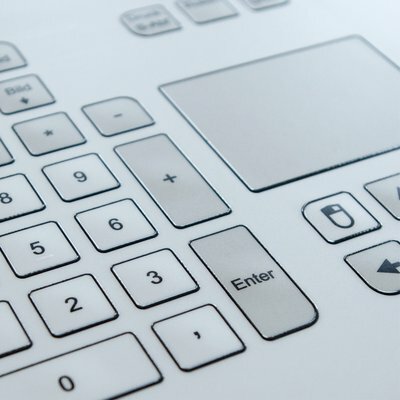 If necessary the keyboard can be inclined downwards completely. Tested with clean room rubber gloves of varying thicknesses.